Oxygen is essential to life. Without proper oxygen utilization our health can suffer, our immune system can become compromised, our performance decreases and recovery time takes longer. 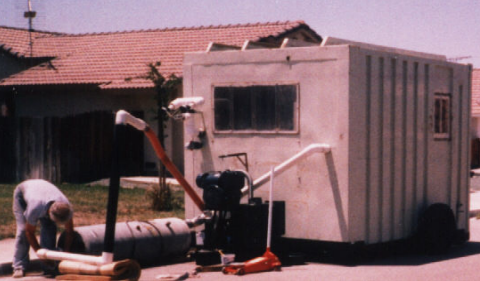 The Cyclic Variations in Adaptive Conditioning™ (CVAC™) pod is neither hyperbaric nor true hypobaric but, rather, the world’s only multi-baric system. It is a unique and effective conditioning program that uses precise and continuous air pressure changes to better utilize the oxygen you breathe, improve your body’s energy systems, and increase circulation of blood and lymphatic fluid for faster removal of cell waste and toxins. 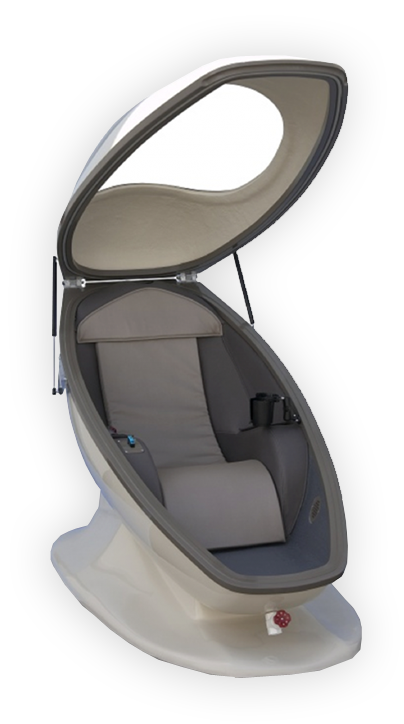 While you are comfortably seated in the CVAC multi-baric pod the air pressure will continually change, 200-400 times, during a 20-minute session. These air pressure changes act like a ‘pump’ stimulating every part of your body, from brain to toes, enhancing fluid flow through tissues, lymphatic and blood vessels by continually dilating and constricting cells. Better fluid flow reduces inflammation, removes cellular waste and toxins, and increases oxygen absorption for faster recovery from many issues your body deals with. 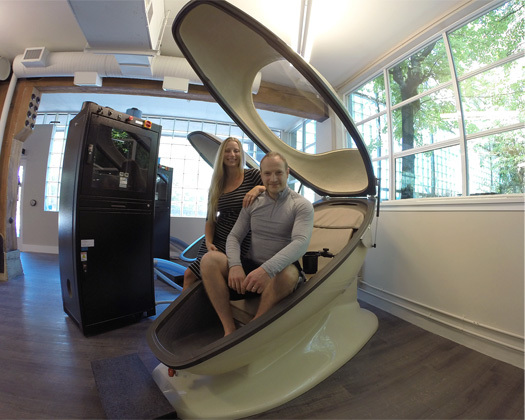 The CVAC multi-baric pod strengthens your circulatory system in much the same way weight training strengthens your muscles and bones. The process is all natural and purely achieved through continuous, dynamic changes in the density of fresh, purified air moving in and out of the pod. The intervals with which the air pressure changes are custom tailored to your body’s specific needs and improve the three areas vital to performance: power, endurance, and recovery. The CVAC process is completely safe as there are no chemicals, the percentage of oxygen you breathe remains the same at all times, and there is nothing that would adversely affect your health nor, for competitive athletes, ban you from your sport. You will begin at a low level to help acclimatize your ears to air pressure changes like you would experience when driving through the mountains. Rest assured, if you ever feel discomfort, we can end your session immediately. Once your ears become used to the pressure changes you’ll be able to relax and even fall asleep during your session. You can take as many sessions in a row as you feel comfortable taking and can come in as often as you would like during the week. 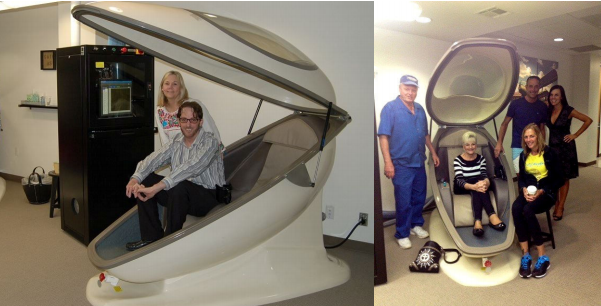 The CVAC multi-baric pod is large enough to fit three people… uncomfortably. However, since you are the only one seated inside you can stretch out and relax very comfortably! There is a large window with a wide panoramic view so you won’t feel claustrophobic. 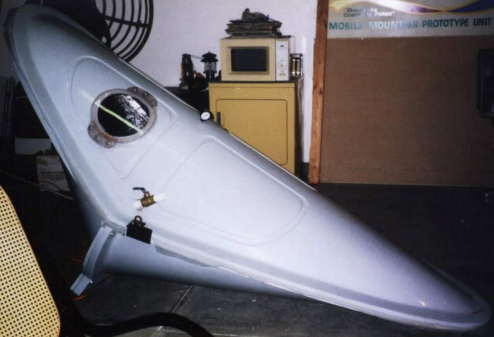 The pod is not locked or latched but remains closed because the air pressure is greater in the room than in the pod. Interesting Science: You will feel cooler when the air pressure decreases and warmer when it increases… but there are no heating or cooling units in a CVAC System. So, why does this happen? With lower air pressure (air density) there are fewer air molecules colliding together (which gives off energy in the form of heat) and thus it becomes cooler. When the air pressure (air density) increases you have more molecules, more collisions and thus more heat! (This is why it’s cooler at the top of a mountain than at the bottom). Since the air pressure changes while using the CVAC multi-baric pod are similar to take-off and landing in an airplane be aware that if you have any condition that would prevent you from equalizing the pressure in your ears (e.g. sinus allergies or infection, toothache or infection, cold or flu, completed scuba/deep-sea dives or used a hyperbaric chamber within the last 24 hours) it is recommended that you postpone your visit. There are no limitations on use during pregnancy. On your first visit, to maximize your appointment time, please arrive 15 minutes early for an introduction and to fill out the relevant forms. Any type of clothing is allowed in the CVAC pod, however, please no bare feet for hygienic purposes (socks are okay). Bring a water bottle to keep well hydrated as it will help you get the most from your CVAC sessions (do not drink coffee or tea as they will dehydrate your body). Feel free to bring reading material or something to listen to while you relax in the pod. Although cell phones and tablets are okay, do not bring a laptop into the pod unless it has a solid state hard drive (the air pressure changes can damage moving parts within a hard drive). Do not bring a fountain pen or felt marker into the pod as the air pressure changes will likely cause it to leak. Ball point pens and pencils are okay. 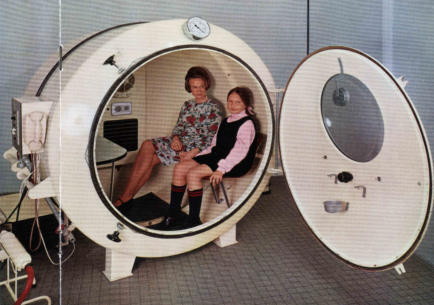 In 1984 Carl Linton, a respiratory therapist, was asked to take over research associated with the work of Dr. S. Tromp into the effects of “serial short stays at simulated altitude.” Carl was skeptical when he was told that the Tromp method was a “cure” for asthma. He found himself challenged to either verify or disprove the statement. Carl spent the next five years and over 10,000 hours on what was essentially the first theoretical research done on the effects of short stays at simulated altitude. 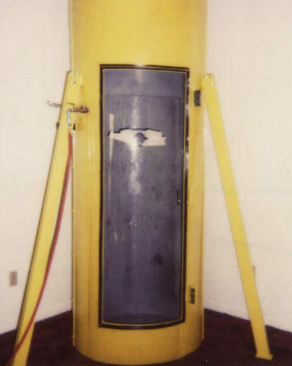 This altitude simulator provided a suitable model for testing his theories. From it came the first commercial use of the CVAC process for thoroughbred race horses! The results proved so effective (one horse, retired due to injury, went through 120 sessions and made a comeback breaking the track’s record time) that the next step was to design a system people would be able to use. 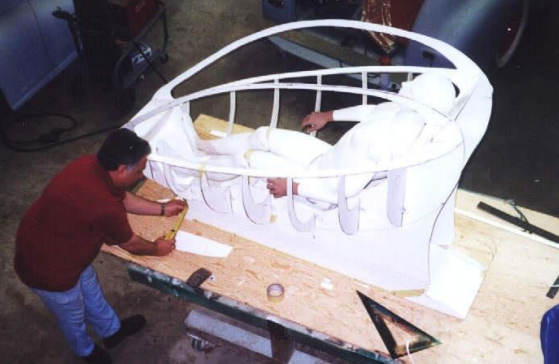 An early “beer can” design led to a more streamlined prototype in 2000. Then came the design of the current production model. Which was much roomier and less claustrophobic. And the number of places you’ll find them is growing!